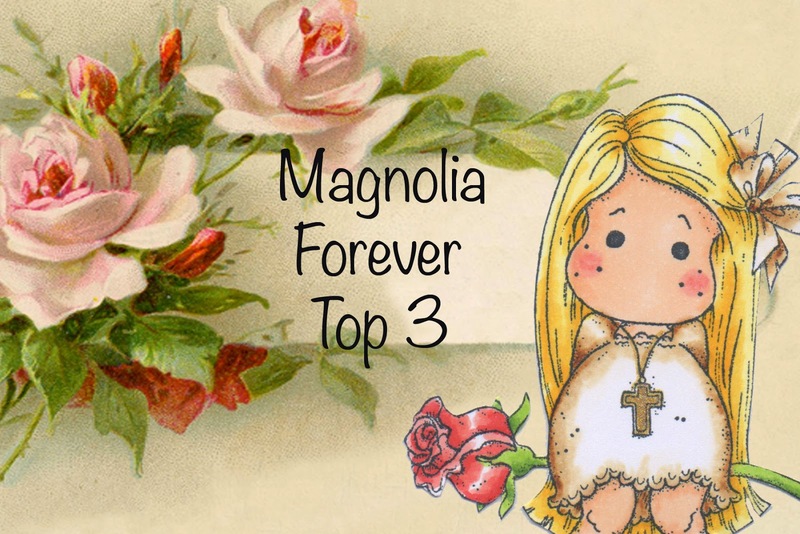 This is a reminder post for SIMPLY MAGNOLIA, where the theme is "ANYTHING GOES". Papers are Maja, Flowers are Wild Orchid Crafts and the lace was from the Ribbon Girl. The leaves are Magnolia. Tilda has been coloured with distress inks. 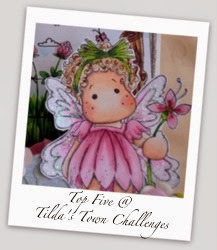 I hope you like my card and feel inspired to join our challenge at SIMPLY MAGNOLIA. This is my first post for 2016 and I would like to wish you all a very Happy New Year! Today's card is for my ALL ABOUT MAGNOLIA design team. 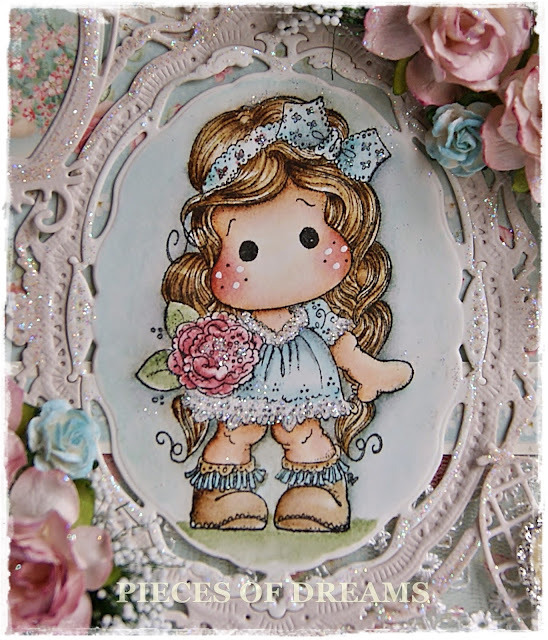 We are half way through challenge # 10 - ALL ABOUT NEW and my card uses A NEW WAY of using my dies. 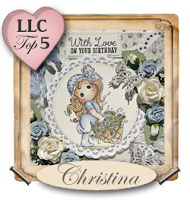 SPELLBINDERS Opulent Ovals and MARIANNE LR0299 Hearts. The papers are by PION DESIGN. 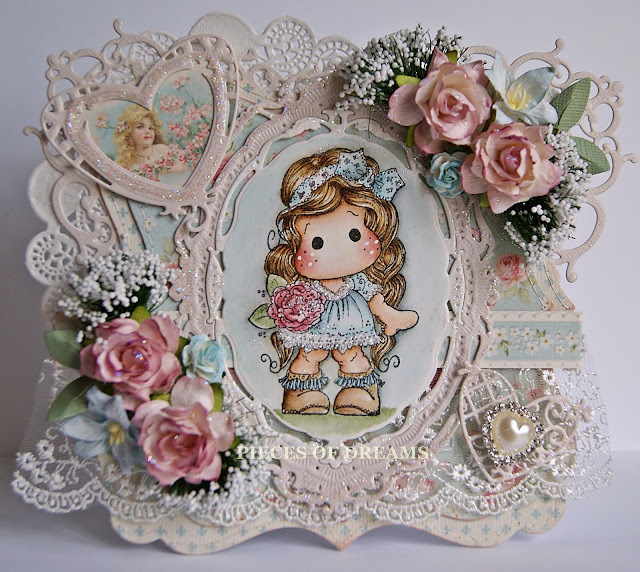 I used one of the smaller hearts as a frame for a pretty image and added Stardust Stickles on all the die cuts. The tiny heart was used at the bottom of the card with a pearl/diamanté embellishment on top. 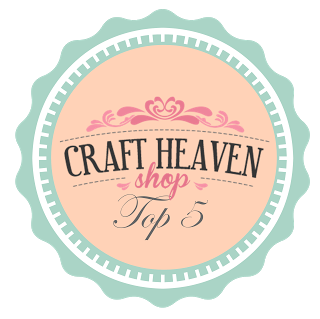 The flowers, lace and papers are all to be found at LIVE AND LOVE CRAFTS. Of course Tilda had to have Crystal Glamour Dust added to her lace and flower... I love sparkle! 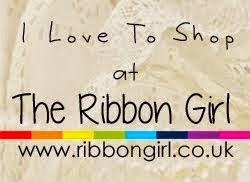 I hope you will join our challenge this month as there is still another two weeks to enter.